Mandalay city officials are facing public condemnation over a tobacco company’s sponsorship of an upcoming mini-marathon that will be held in honor of Burma’s 70th Independence Day on 4 January. Burma’s notorious online defamation law remains the tool of choice for powerful people in the country who seek to punish those who are trying to hold them accountable, and the amendment of the law in August has had “no discernible impact” on this, says a new report by the rights groups Free Expression Myanmar. Hong Kong is making plans to ramp up its recruitment of domestic workers from Burma as the Special Administrative Region prepares for a potential shortage of labourers from other Southeast Asian countries. Pope Francis is reportedly set to visit Burma later this year, making him the first Catholic pontiff ever to do so. A member of the Lower House of Parliament has submitted an urgent proposal to denounce the findings of Yanghee Lee, the UN special rapporteur on human rights in Burma. The proposal was approved for further discussion by Lower House Speaker Win Myint. Olive Yang, the crossdressing royal-turned-warlord, died on Thursday. She was 90. 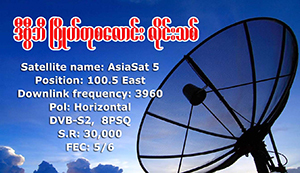 A case was opened against Swe Win, the editor-in-chief of news outlet Myanmar Now, under Article 66(d) of the Telecommunications Law on Tuesday evening, the defendant himself confirmed on Facebook. A judge granted the Eleven Media CEO and editor-in-chief bail on Friday. They are standing trial on charges of defamation brought by the Rangoon government. In a new paper titled “Rakhine Crisis Challenges ASEAN’s Non-Interference Principle,” released by ISEAS, Ye Htut departs from a career built on suppressing the use of the name “Rohingya,” rejecting that community’s right to citizenship and defending the military’s human rights abuses. Klaas Haytema, 30, was convicted in early October for unplugging a loudspeaker outside his hotel that was blasting a Buddhist sermon. Information technology professionals gathered yesterday at the CommuniCast Myanmar 2016 conference at Novotel Yangon Max to discuss the country’s digital future. However, while they were officially there to showcase satellite, fibre optics and broadcasting technologies, they also used the opportunity to demand the right to free expression from the NLD-led government. Two Muslim youths say they weren’t permitted to take part in an ethnic youth conference in Panlong, Shan State, because they didn’t represent any of Burma’s ethnic groups. “We have been doing some work on it. We have been looking at it, and we have been dealing with it,” Premier John Key said. For six intense days, Soe Lin Htoot sat in the front row of the UEC media room, using an iPad and iPhone to post the latest polling numbers on Twitter. Even San Zarni Bo’s predictions clash somewhat. He claims that Suu Kyi will be president, but claims that the election on November 8 will be postponed.